Pigeon Rocks and English class in Beirut | Melissa Tabeek. I hadn’t taught English since 2010 when I stumbled across the work that the Migrant Workers Task Force was doing here in Lebanon. After meeting the great volunteers teaching the classes and running the organization, along with the migrant workers studying with them, I was motivated to join them as an English teacher. When I wasn’t sure if I would be coming back to Beirut, my students and I went on a trip around the city (our out-of-the-box English class), and got to see one of the most beautiful sights in the area together. “I’ll never forget this day,” Adam, one of my students from Sudan, said. When you look at the photos, you can understand why! The Pigeon Rocks are breathtaking, and naturally formed. 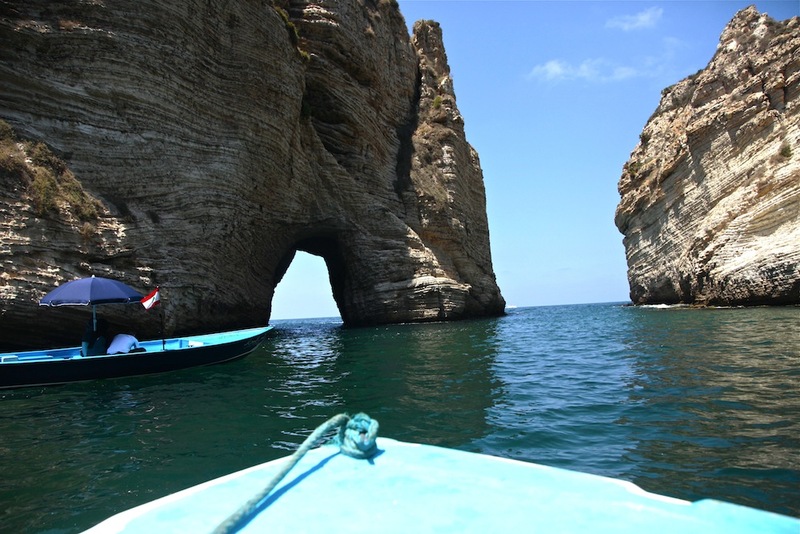 The two massive rocks sit off the coast of Raouche – a walk down the Corniche either during the day or at sunset (best!) isn’t complete without grabbing an ice cream and watching the light fade across the stone. This is gorgeous. May I share on my FB page? Gorgeous.